Should we be surprised that baby boomers and women are leading the way as the newest consumers of cannabis? Not really. As a boomer myself, I can tell you that a) this is not my first rodeo, so I know that consuming cannabis is not going to fry my brain like an egg; and b) because my life clock is ticking, I have less time for nonsense, and I’m more focused on what really works. Here’s what’s also true: North of 50, sleeping is more of a challenge, and guess what helps? A hit or two of indica. You fall asleep faster, and stay asleep, without the scary side effects of drugs like Ambien. You can also expect more aches and pains as you age -- maybe even a touch of arthritis. I’ve experimented with several brand of CBD balms and salves. They work wonders on sore muscles and joints, and you don’t have to choke down non-steroidal anti-inflammatory drugs (NSAIDs) like ibuprofen or naproxen which can tear up your stomach and damage your liver and kidneys..
Aside from those two boomer-universal conditions, it’s also undeniable that we live in anxious times. We all have the need to relax, in a way that’s safe and non-toxic. Cannabis fits the bill nicely, giving you a way to change your mental state, without the health risks that come with long-term alcohol consumption or other dangerous substances. More people of all ages are using cannabis: First-time use of cannabis was up by 140 percent, due, no doubt, to spreading adult-use legalization in the states. Baby boomers led the way, with 25 percent more users in this age group over the past year. More women are using cannabis: Consumption by women nearly doubled, and they now represent 38 percent of cannabis consumers. CBD use continues to grow: In 2018 the use of CBD nearly doubled, growing from 2.6 percent to 4.8 percent. 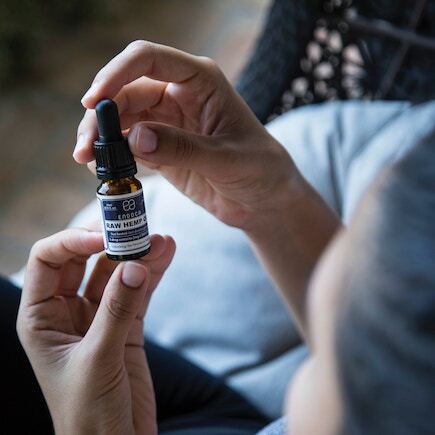 More boomers (8.4 percent in 2018) are using CBD than any other age group, and female boomers are again leading the way. It’s about wellness: Overall, 71 percent of those surveyed said cannabis allowed them to reduce (53 percent) or stop (18 percent) their over-the-counter (OTC) pain treatment, and 60 percent of surveyed consumers have reduced (52 percent) or stopped (7 percent) their alcohol consumption. Since 1937, the U.S. government has told us that cannabis is a dangerous drug, and that users must be persecuted and imprisoned. Now that we have the Internet, we’ve been able to compare notes and tell each other the truth: Our bodies need cannabis to stay in balance. It’s an organic, non-toxic medicine that is effective for a variety of conditions, including the most common afflictions we all face as we age. Kannaboomers is dedicated to telling this important story. Cannabis is a personalized medicine that can help us live better and achieve daily wellness. There’s lots to learn and we invite you to join us, by listening to the Kannaboomers Podcast, or checking us out at Kannaboomers.com.